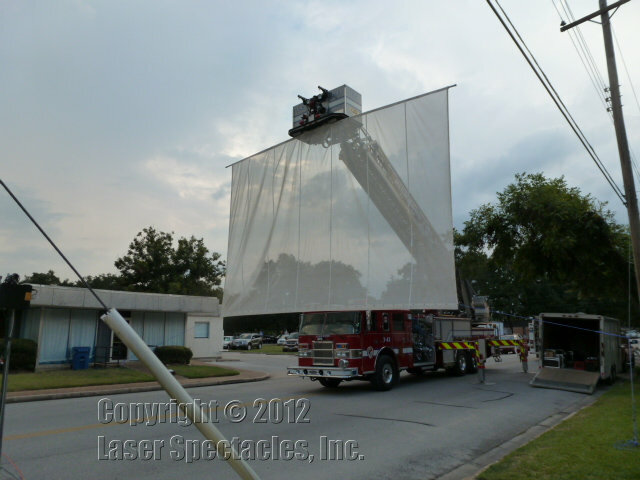 Hanging laser show screens | Laser Spectacles, Inc.
Laser Spectacles often encounters a situation in which our clients want an outdoor show in a wide-open area, such as the middle of an empty street, a parking lot, or a park. 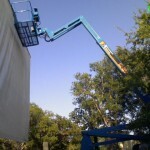 In such venues, we have a solution to quickly and reliably get one of our projection screens into the air. The solution, which we have employed many times, is to obtain a piece of equipment designed to lift personnel high into the air. 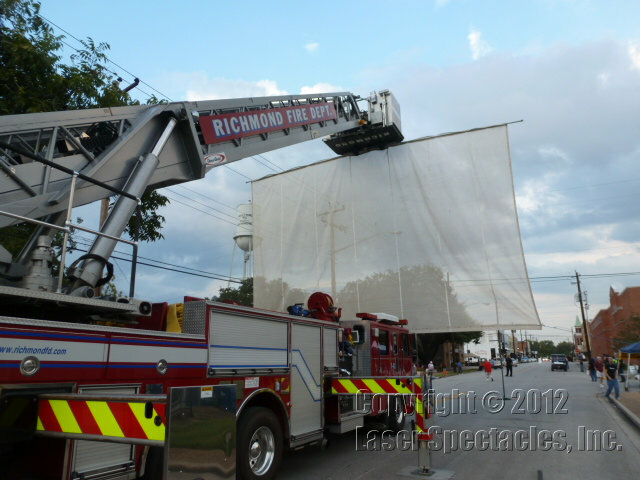 Such equipment goes under many names, such as “boom lift,” “man lift,” “bucket truck,” or even a fire truck with a ladder will suffice. 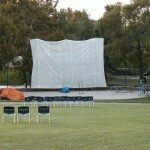 Our standard outdoor projection screens are made of a material called “Phifertex,” a very strong coated mesh. 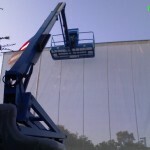 Our screens have grommets all the way around, spaced 12 inches apart, so that we can securely tie the screen to pipe or truss. 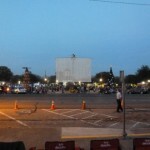 The size of the screen most often used is 30 feet wide x 20 feet high. 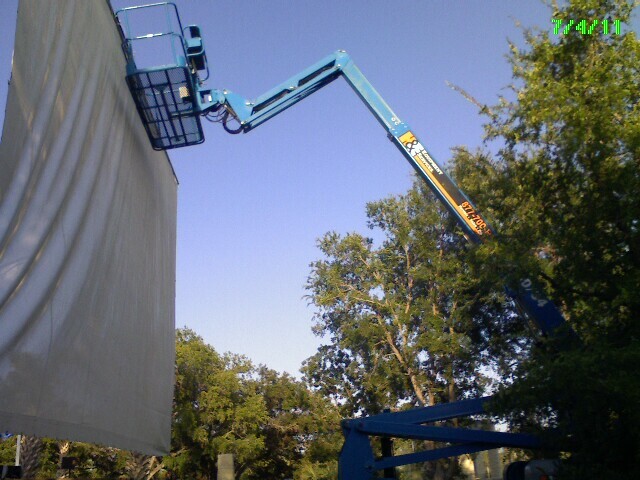 When hanging the screen with a boom lift, we tie a 32 foot long pipe horizontally to the end of the boom lift arm, and fasten our screen to the pipe. 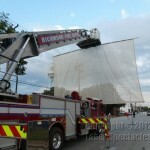 We can raise it to the desired height (usually 40 feet) and then tie off the bottom corners to the ground. 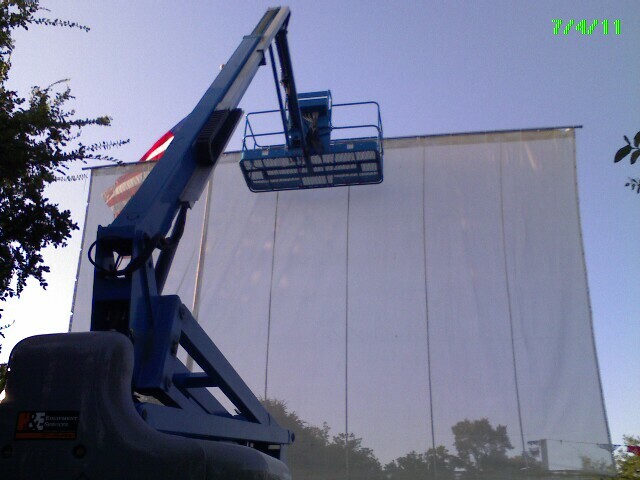 We normally come in the day before the show, set the screen up, and then focus the laser graphics projection on to the screen, and then lower it down to the ground where it can stay safely overnight. 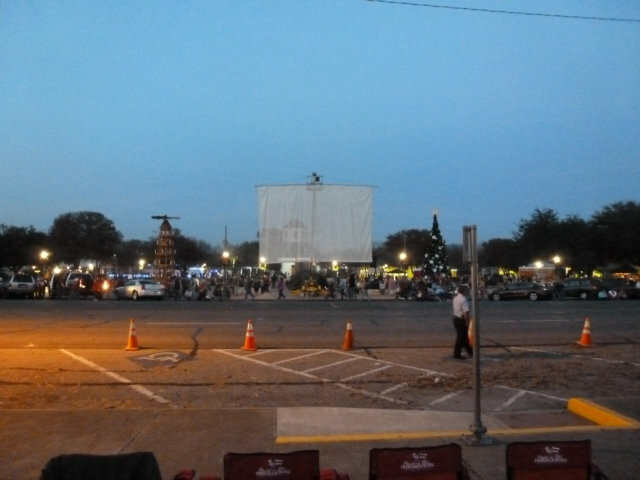 About 30 minutes or so before showtime the next night we raise the screen back up and check our focus, then do the show. 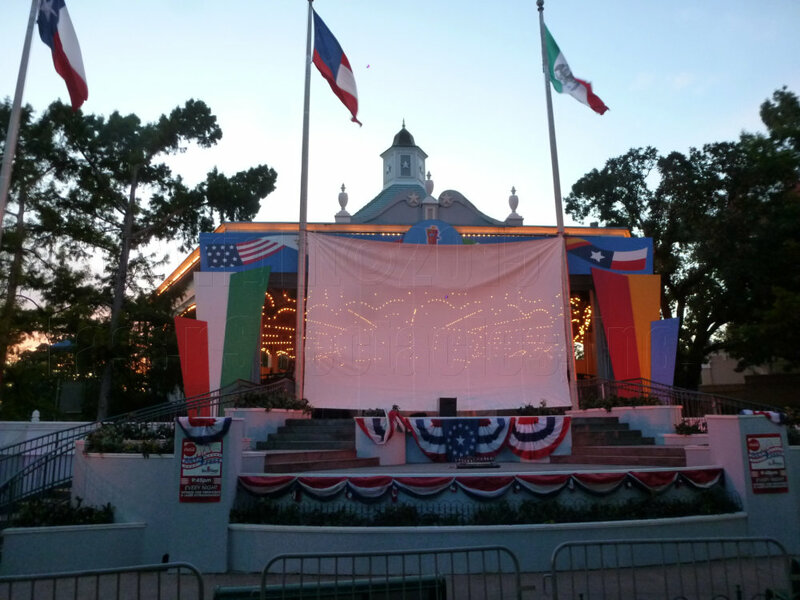 Immediately after the show we can lower the screen. 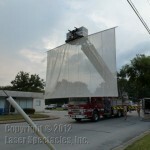 As seen in the photos to the left, a fire truck works perfectly to lift a laser screen high into the air! Just about every community has access to a fire truck. 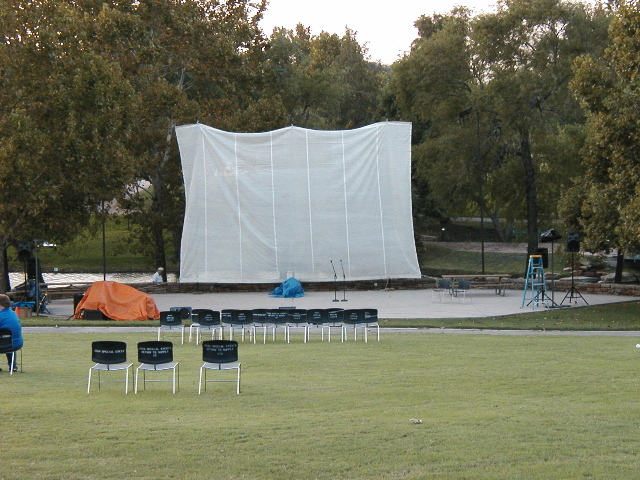 The photo on the far left shows a screen raised from the ground and tied at the top to three permanent flag poles at the show site. 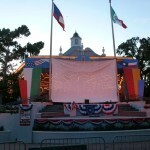 The near photo shows a smaller screen utilizing just two flag poles.